What is your coming soon page for? When you’re building a startup, it’s very important to question assumptions. I think one of these assumptions which needs to be questioned is the initial few steps people normally take when they have an idea. One of these steps is the “coming soon” page. The concept of a “coming soon” page before you have a product is something that has been on my mind for a while now. On first thought, it seems obvious what the purpose of these pages is: surely it is to collect interest from potential users of your product in order to let them know when you’re ready. I think that is probably a good reason for a “coming soon” page, but recently I have been questioning the purpose of “coming soon” pages and how startups can be much more effective with their first landing page. With the websites many of us startup founders check out regularly such as TechCrunch always reporting massive growth numbers for startups, it can be easy to assume that the primary aim for a “coming soon” page should be to collect as many emails as possible. It seems logical that when we launch that is the way we are most likely to succeed. I’ve done it myself countless times in the past. At the same time, there’s a new idea gaining a lot of traction which I think could be sending startup founders down the wrong track. The idea of the “viral launch page” was popularised by Hipster, and the title of the article on TechCrunch makes me cringe: "How A Startup Named Hipster Got 10K Signups In Two Days, Without Revealing What It Does". These launch pages are now available for any startup thanks to LaunchRock. What is the goal of a “coming soon” page? All of the current hype around “viral launch pages” combined with how ingrained the idea of a “coming soon” page seems to be in peoples minds made me question what the purpose of a “coming soon” page is. I think in many cases, the goal in the mind of a startup founder is to gather as many emails as possible so they can have their big bang launch when the product is finally ready. There is a big flaw with this strategy, and it is that if we take this approach we are assuming that our idea is certain to take off when the product is ready. At the very least, we are putting more focus on the number of emails rather than on whether any of the people whose emails we’ve got will actually use our product. Do we really want to gather hundreds or thousands of emails, like Hipster, without people knowing what our product does? That sounds like a risky strategy to me. Quite frequently I hear about other startup founders launching a new idea, and I often hear from them how many emails they’ve collected on their coming soon page. I rarely hear about conversations they’ve had with people. One piece of advice I’m encouraging new startup founders to take on more and more now is to skip the “coming soon” page completely. By skipping the “coming soon” page, you can really focus on what matters. Instead of a “coming soon” page, put up a landing page for your product. Make it look like the product exists, and then when people try and sign up, show them a page letting them know that you’re not quite ready for them yet. The effort is the same, but this tiny change can give you massive rewards. The key benefit of skipping the “coming soon” page is that you can gain validated learning about your startup. Validated learning is the measure of progress Eric Ries defines for the lean startup methodology. The concept here is that every change you make should help you learn more about your customers. By skipping the “coming soon” page, you gain validated learning about the emails you collect: they are people who thought your product existed and showed a real interest by trying to sign up. If you have people hitting the page and no one gives you their email, you know there’s a problem with your idea or the way you’re describing it. Treat your idea as a hypothesis that needs rigorously testing, and treat the emails as people who are happy for you to get in touch with to discuss your product idea further in order to validate that it would solve a real problem for them and that they might actually pay. I don’t think the idea of having a conversation with the people who give you their email comes into the minds of new startup founders enough. The benefit of this method is also that you can work on your product in parallel with learning about your customers and about how clearly your landing page is getting across the idea of your product. With a few tweaks, you’re very likely to be able to launch the actual product with the same landing page. Your first landing page can be very simple. This is also how I launched my latest startup, Buffer, and it worked pretty well. 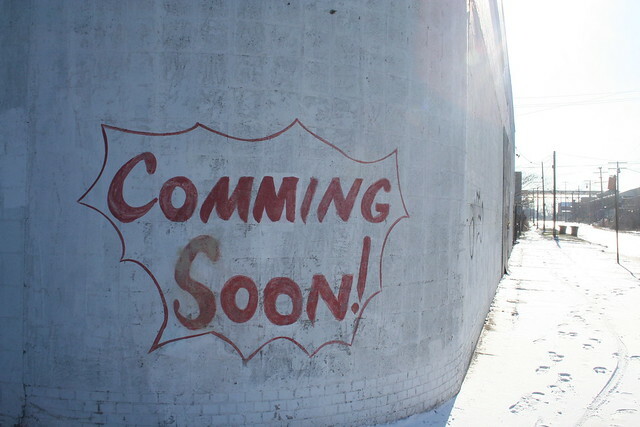 Did you have a “coming soon” page for your startup? Do you have one now? Would you do things differently in the future? I’d really love to hear your thoughts on this topic.